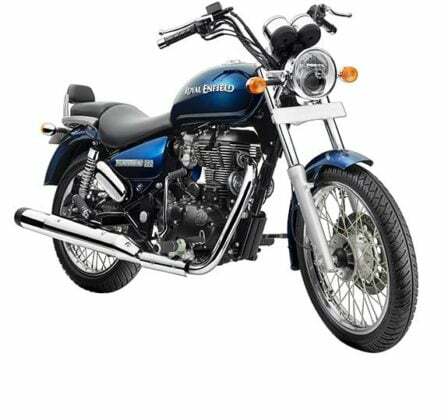 Royal Enfield Thunderbird 350 is one of the most classic and beautiful looking cruisers in India. The only cruiser in Royal Enfield’s lineup is priced at Rs 1.42 Lakhs (ex-showroom Delhi). Check out the price, weight, mileage, and colors of the Thunderbird 350. Royal Enfield is one of the oldest bike makers in the world. The lineup consists of street racers, cafe racers, retro bikes, cruisers and adventure bikes. A lot of people consider all these bikes as cruisers, which is wrong. There is only 1 cruiser in the entire lineup and that is the Thunderbird series. Now, in this case, we take the Royal Enfield Thunderbird 350. If it’s an RE bike, there have to be some retro elements, mainly chrome inserts. You might find this a bit modern looking than the Classic and Bullet. 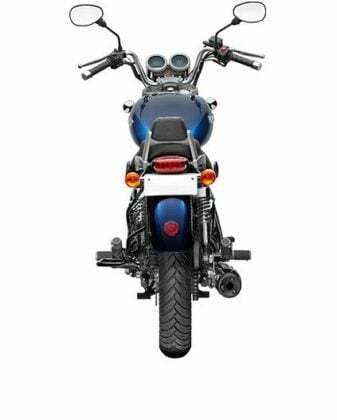 Features onboard include a semi-digital console, always-on headlamps, and a backrest. But, wouldn’t a retro bike look better without all the modern features? At a price of Rs 1.42 Lakhs (ex-showroom Delhi), it is competitively priced. So, let’s check out the weight, mileage colors and specs of the 350cc Thunderbird. The Royal Enfield Thunderbird 350 has an ex-showroom price of Rs 1.42 Lakhs in New Delhi. 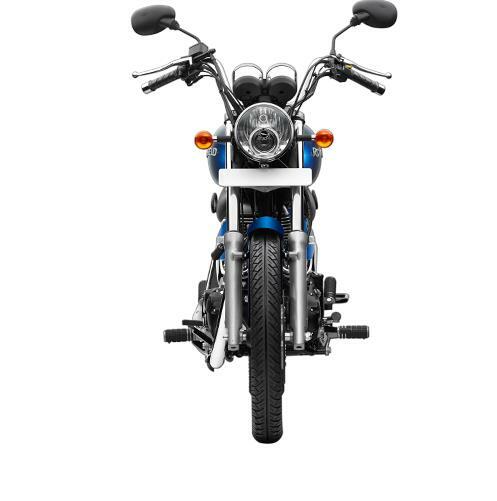 The updated one gets a BS-IV compliant engine and Always-On Headlamps. It’s worth a mention here that it will be soon made mandatory for all two-wheelers on sale in India to have these two new features. Powering the Royal Enfield Thunderbird 350 is the same 346cc single-cylinder engine that powered the outgoing bike. This engine has a max. power-torque of 19.8 BHP-28 Nm. It comes mated to a 5-speed Manual Transmission. The RE Thunderbird 350 can offer as much as 35 KMPL on the highway. In the city, however, it delivers roughly 30 KMPL. As the tech specs of the cruiser remain same as earlier, there’s no change in the top speed. Akin to the outgoing model, the Royal Enfield Thunderbird 350 has a true top speed of 120 KMPH. It is seen that, even if it goes above 100 KMPH, the bike does not shake much and cruises easily. The cruiser measures 2060 mm in length, 790 mm in width and 1205 mm in height. It comes with a wheelbase of 12350 mm and a ground clearance of 140 mm. 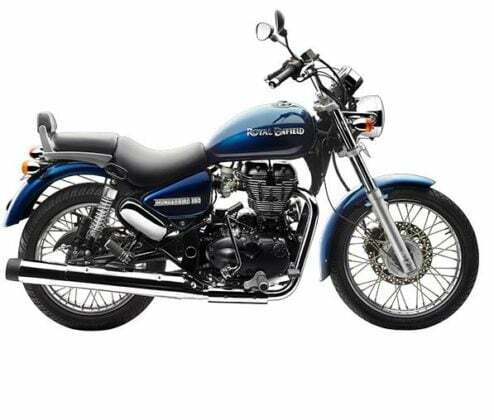 The Royal Enfield Thunderbird 350 gets a high fuel tank capacity of 20-liters, which is one of the many factors that make this bike a good tourer. Unlike its other Retro Street and Cafe Racer designs, Royal Enfield has made this a modern looking cruiser. In the front, it gets a large round Projector headlamp with disc brakes in the front and ape-hanger type handlebars. It gets a beefy 20 Litres fuel tank with a ‘Royal Enfield’ logo on the tank. It gets a twin-pod digital cluster with an analog speedometer and tachometer. In the rear, it gets disc brakes with its silver-plated old-school exhaust flanked on one side. The cruiser comes with spoked wheels, but the alloy wheels come in the latest RE 350X and 500X. A lot of people put a copper or brass finish on its spoke wheels. Currently, the Thunderbird 350 comes only in 1 variant. Royal Enfield, faces no direct competition as such. It has its own set of loyalists, who would not look beyond Enfield bikes. 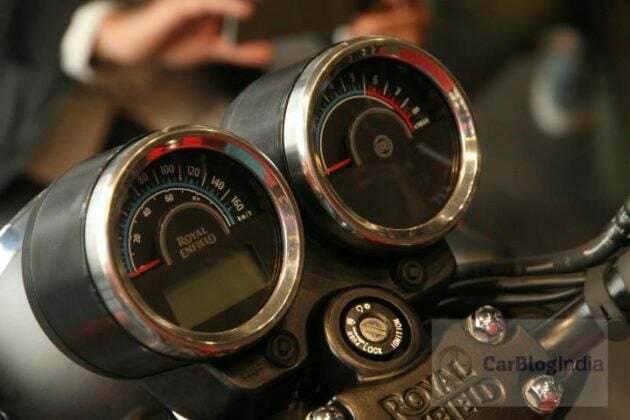 However, if someone is not a Royal Enfield loyalist and is willing to look at other cruisers, then he can consider the Bajaj Dominar 400 and the Bajaj Avenger Cruise or Street. If seen, Thunderbird 350 also competes with the RE Classic, Bullet and Electra series. In terms of price, it is decently priced along with its competitors. 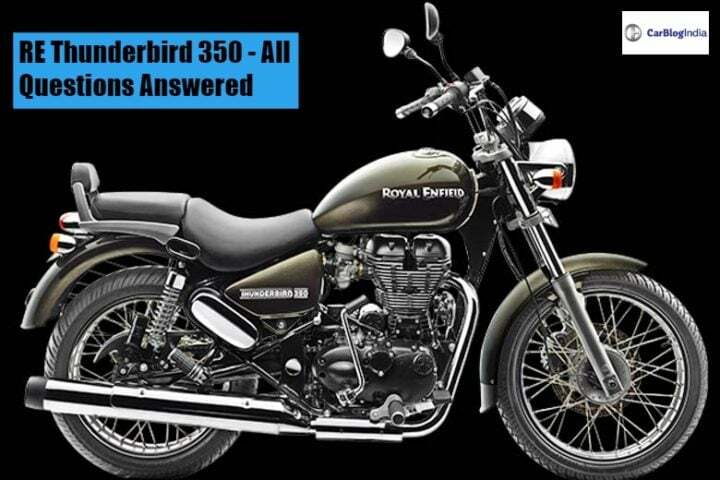 Stay tuned for more on Royal Enfield Thunderbird 350 Price, Mileage, Specifications, Dimensions, Colours, Top Speed and Latest News Updates.